How do you make a nearly perfect evening at Comcast Center even better? By holding up a throwback Orioles hat in the middle of the post-game celebration, of course. 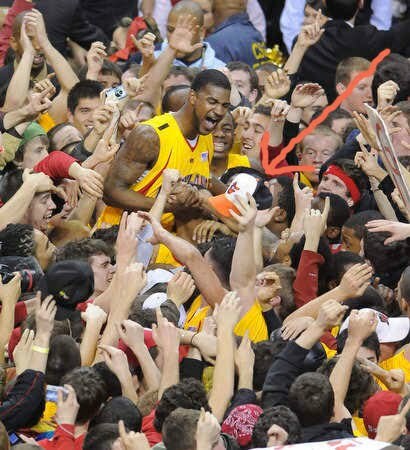 Well done, anonymous Terps fan. Well done. Image via The Sun’s game gallery.